How to watch Café Society (2016) on Netflix United Kingdom! Yes, Café Society is now available on British Netflix. It arrived for online streaming on April 15, 2019. 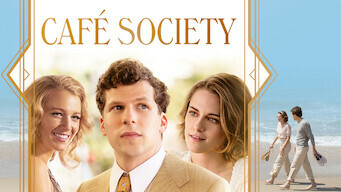 We'll keep checking Netflix United Kingdom for Café Society, and this page will be updated with any changes. Set in the 1930s, a young New Yorker moves to Hollywood, where he falls head over heels for the radiant secretary of his hot-shot uncle. As deals are struck and names are dropped, a romance set against Hollywood's golden age comes dreamily into focus.